Put this thing in an iPhone and sign me up! 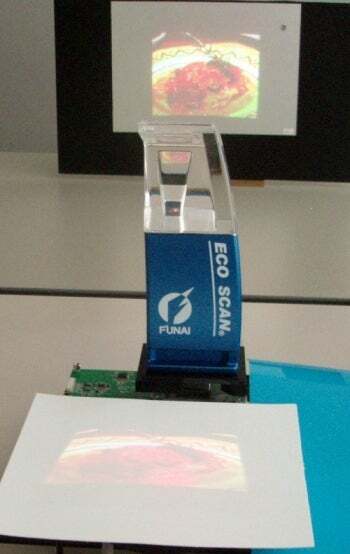 Funai's new projector can project images that can recognize finger movements. The "ultra-small color laser projector" allows for rotating, zooming and flicking through projected images with just a finger. It uses a new sensor that can determine the position of a finger along with the intensity of light on the projected area. Apparently not only is it capable of finger movement but it should be able to recognize gestures and hand waves. Hello, Minority Report!